By award winning stallion Pins (Snippets) (twice NZ leading sire for global progeny earnings) out of a mare by multiple Champion stallion O’Reilly. 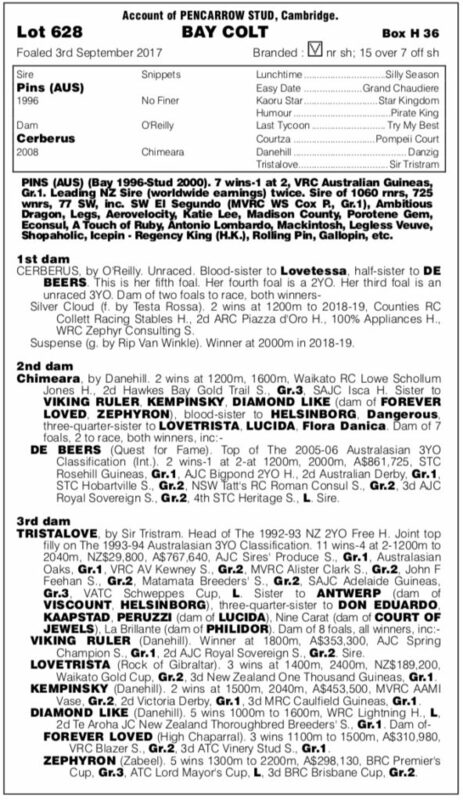 Dam Cerberus has already shown versatility as a young broodmare, having left Silver Cloud (Testa Rossa) to win twice over 1200 metres and Suspense (Rip Van Winkle) to thrive over ground with consecutive wins over to 2100 metres before a notable fifth in the Dunstan Stayers Final (2200m) at Ellerslie. 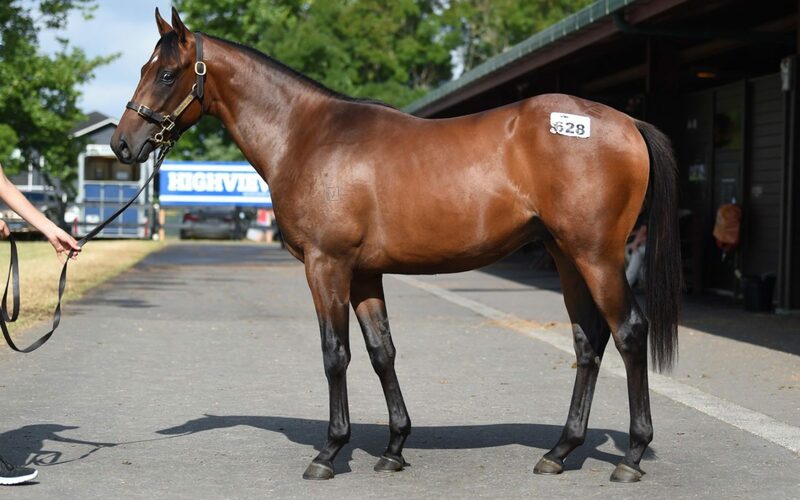 “A powerful colt, very correct, he looks like he could get up and run early to contest races like the Karaka Million and the Sistema Stakes, while also having the pedigree to stretch over more ground as a three-year-old,” Ellis said. Grand-dam Chimeara (Danehill) was an impressive winner over 1200m & 1600 metres and her third dam, Tristalove (Sir Tristram), was Head of the 1992-93 NZ 2YO Free Handicaps & Joint top filly on the 1993-94 Australasian 3YO Classification. It is the family of Diamond Like (Danehill), Lovetrista (Rock of Gibralta) and De Beers (Quest of Fame).